Millions of Americans will be going out to dinner on February 14. At best, most will leave with a champagne buzz, a belly full of oysters, and an empty wallet. But a lucky 25 people will spend their night helping out a family of new refugees by grazing on a massive spread of homecooked Syrian dishes in an Atwater Village backyard. This is the New Arrival Supper Club, and next Tuesday’s sold-out dinner is only the first in what they plan to be an ongoing series of philanthropic feasts. The folks behind the club are Miry Whitehill of Miry’s List—a Facebook group that crowdsources donated supplies for Syrian refugees in Southern California—and Katie Kildow of Glassell Park’s Lemon Poppy Kitchen. The chef—and recipient of the dinner’s proceeds—is Najwa, a mother of three from Homs (what was once the third largest city in Syria that was basically flattened in during a siege in 2013) and a real good cook. If you don’t yet follow Miry’s List on Facebook, do so immediately—and be sure to have a box of tissues and a good hour to kill. A former digital marketing exec, now full-time mother of two, Miry met Najwa six months ago when a friend at a local church told her about a refugee family that was in need of some baby supplies. The idea was for her to bring by some extra diapers, but when Miry went over to the apartment she found that the family needed much more. “They didn’t have anything,” says Miry. “They didn’t have a crib mattress. Their baby had been sleeping for three weeks in a basket. I thought, ‘What the hell is up with this situation?’” So she went home, got a spare crib mattress from her garage, and when she came back she walked room-to-room discovering all the basics they were lacking. Miry called her friend who spoke Arabic to help translate via Facetime, and then eventually put a list on Facebook of everything the family needed. 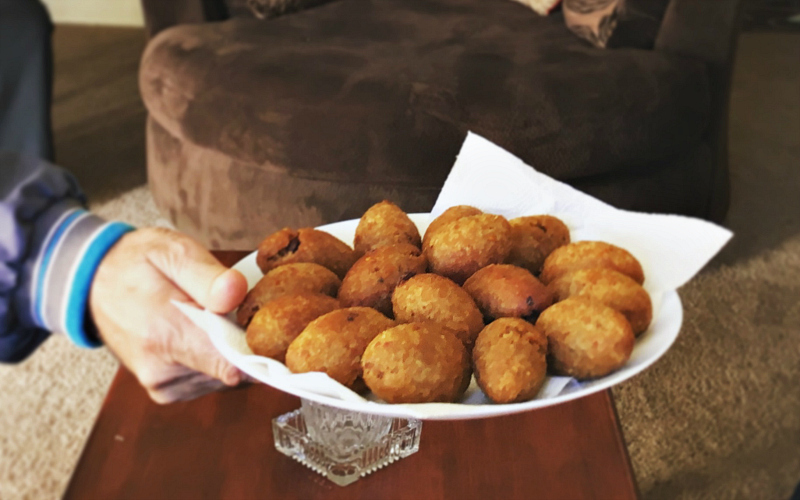 But the ultimate goal is self-sufficiency, and having witnessed first hand the serious cooking chops of many refugees, Miry had a hunch that food was a good way to do that. 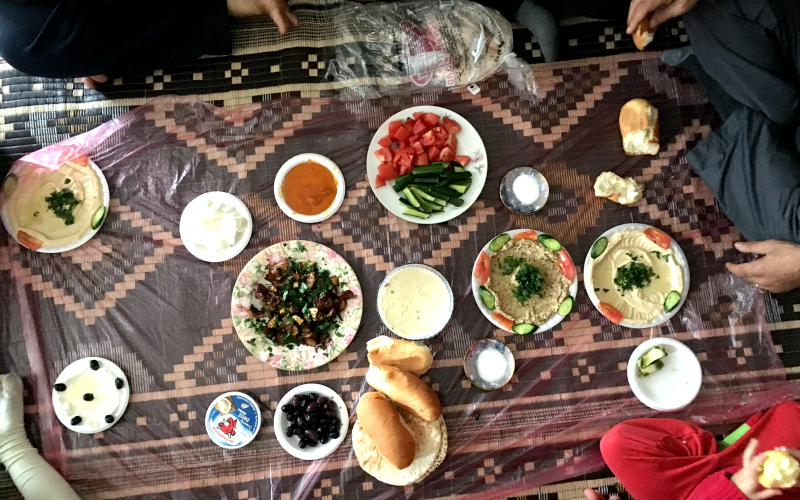 A few weeks ago, Miry’s List follower and chef Katie Kildow heard a story on NPR about groups in England and New Jersey who had started refugee supper clubs and contacted Miry. “I said, ‘We have to do something like this,’” says Katie. 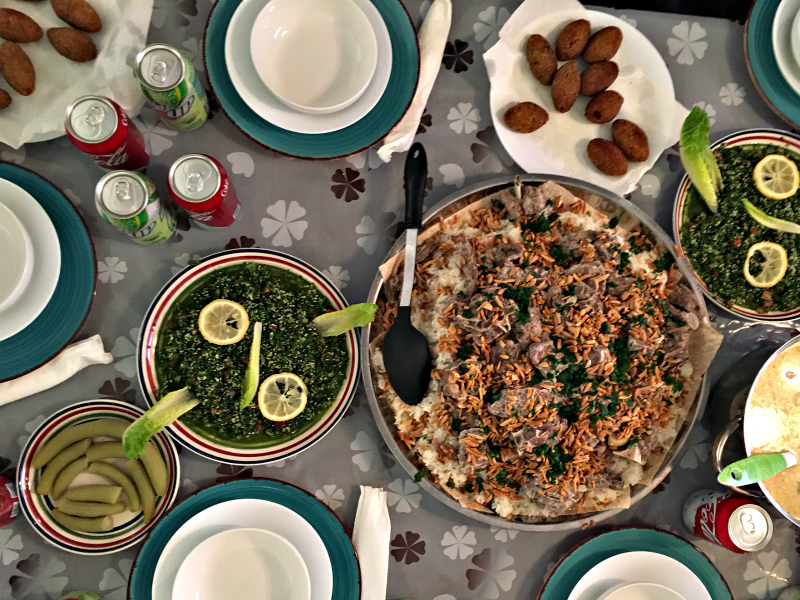 Miry asked Najwa who agreed to cook a family-style spread of Syrian specialties. For servers, they recruited another couple of refugees from Egypt and Iran who arrived only a few days before the ban. Within an hour and a half of putting the event on Facebook, the $75 per-person event was sold out. For more info on upcoming dinners, follow Miry’s List on Facebook, or contact newarrivalsupperclub@gmail.com.